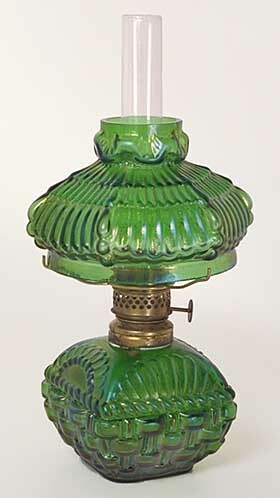 When photographed this small green lamp at auction in 1994, it was listed as the only one known. To date no others have been reported. It's 7 inches tall to the top of the green shade and brought $750. The maker is unknown.